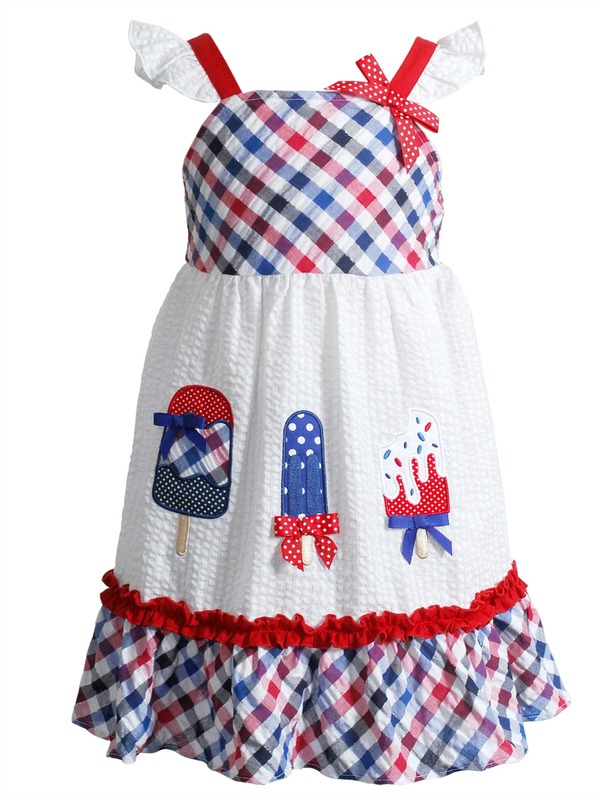 Super cute retro style sundress features ice cream pop appliques in summer patriotic colors of red, white and blue. Pinafore sleeves and cool seersucker fabric. Machine wash. Too cute!